Visitors to Little India during this year's Deepavali celebrations will get to learn the story behind the Hindu festival and take part in traditional Indian street games. A free 40-minute storytelling session with local actors performing the symbolic triumph of light over darkness and good over evil on a miniature village set will take place at a field on Clive Street on Oct 20, at 7pm. Meanwhile, the pedestrianised Campbell Lane will play host to a Little India Playstreet, where visitors will be able to play folk games - like the marble game Goli and board game Pachisi - between 4pm and 6pm on the third Saturday of September to November. The new activities were announced yesterday as Serangoon Road prepares to celebrate its 30th anniversary of the traditional Deepavali light-up. The annual celebrations will commence with a light-up ceremony on Sept 22. Serangoon Road and Race Course Road will be illuminated by about 2 million light bulbs in different colours for the light-up, which will last till Nov 25. Mr Rajakumar Chandra, chairman of the Little India Shopkeepers and Heritage Association, which is organising the celebrations, said: "We wanted to make things interactive and fun for everyone." Two main archways will be erected on Serangoon Road. 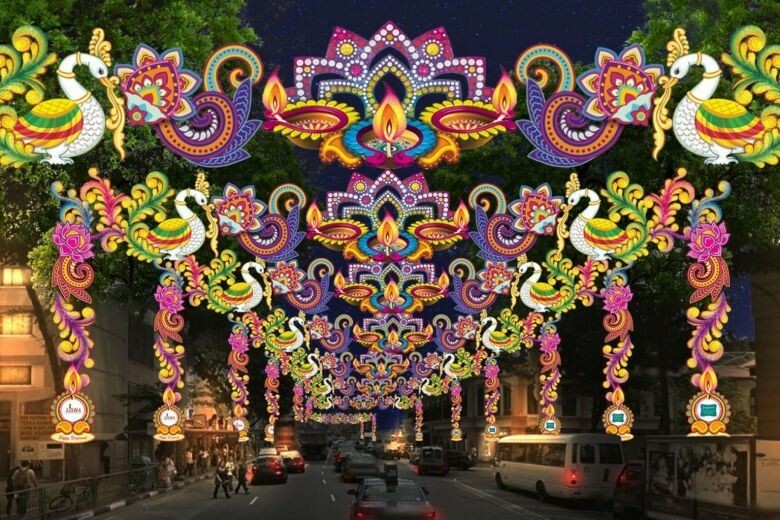 Deepavali or Diwali, which falls on Nov 6 this year, is an ancient Hindu festival and major cultural event in Singapore. Celebrated by Hindus worldwide, the festival of lights signifies the victory of light over darkness. Those looking to buy Indian ethnic wear, jewellery, decorations and traditional snacks can visit the festival bazaar, which will be held from Sept 29 to Nov 6 along Campbell Lane and Hastings Road. Other activities in Little India include a culinary workshop on Oct 13 where participants will get to learn how to make Deepavali snacks, and a movie screening on Nov 10. Both of these activities are free and will be held at the Indian Heritage Centre in Campbell Lane. Visitors to Little India can also catch public dance performances. Four dance troupes will perform different cultural Indian dances at separate locations in the area including Campbell Lane and Kinta Road on Oct 27, from 4pm to 6pm. Financial adviser Ryan Tan, 37, said he was looking forward to this year's Little India light-up. "I take my two kids to check out the lights every year and they love it," he said. "If we can catch the performances this year too, I think it's something that will be educational for them."